Considering the willow and reed plantations as well as the mud flats, the Delta de la Sauer nature reservation provides a complete change of scene. Created on ministerial order in 1997 it is composed of 486 ha of protected land. This beauty spot for ornithology, botany, hydrology or just for its landscapes is also one of the last areas where the flood of the Rhine can spread. that Lauterbourg belongs to the bailiwick of the Episcopal principality of Spire. Today, this Renaissance building houses the elementary school. 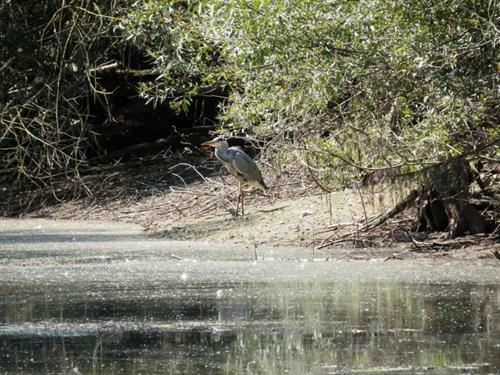 .The heronry, a sublimely beautiful biotope on an islet in the middle of the gravel pit with its remarkable reed bed and its natural spawning ground, is home to a few pairs of herons, black kites, great spotted woodpeckers and other Rhineland residents. begins downstream of the water gate on the principal structure and ends upstream, at the edge of the discharge weir. 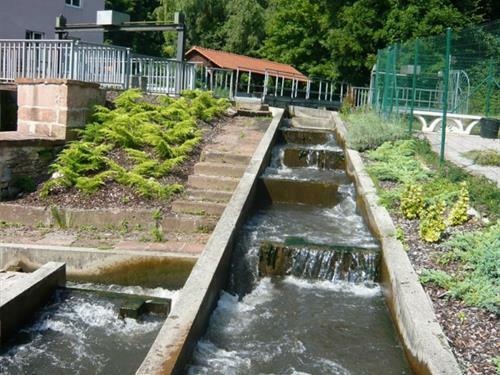 This structure comprises 10 pools of 1.50 x 2.80 m and is designed to help fish swim up river. A practically identical structure has been made in the Berizzi Mill sector at Berg (Palatinate). 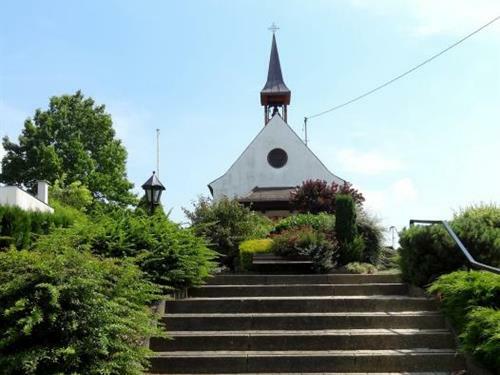 The parish church dedicated to Saint Stephen sits atop a promontory overlooking the lower Rhine valley. It has been here almost as long as civilisation has existed in the region and has always occupied this strategic position, whether during the Celtic or Roman epoch. A Roman god (Vulcan) found on this spot can still be seen in a niche on the outer wall of the northern chapel. 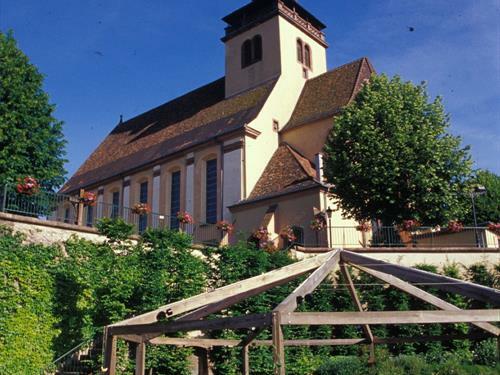 Seltz, like the rest of Alsace, was then part of the Holy Roman Germanic Empire and enjoyed the special status of the abbey founded by the Empress Adelaide in the 10th century. This church replaced the original one, built on the plain on the banks of the Sauer, which was swept away by flooding. It was during that period, in 1357 to be precise, that the emperor elevated Seltz to the level of Imperial City. On 18 April 1674, the King's dragoons burned Seltz to the ground, including the church. However, the outer walls, which remained standing, helped with its restoration in 1683. 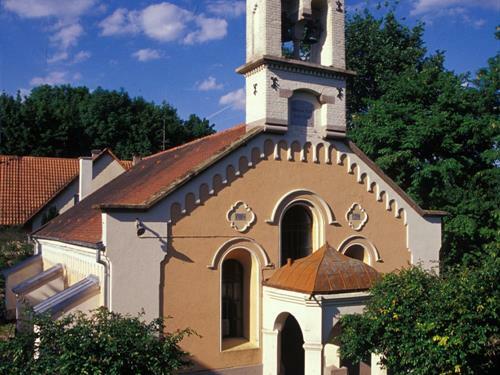 The Jesuits ended up the winning side: in November 1684, Seltz church was handed back to the Catholic faith. A new pulpit and a high altar in the Baroque style were installed towards 1709. And a new bell tower was erected against the northern side aisle outside the nave. It was topped with an onion-shaped roof typical of the times. In 1898, it was pulled down again and replaced by bell tower in the Neo-Gothic style placed in the central line of the nave, which was extended by one bay. From its 62 metres, the bell tower dominated the town and the surrounding landscape. The people of Seltz quickly set about building a temporary place of worship close to the present day bridge over the Seltzbach. That building was in turn damaged by shell fire, but would be quickly restored. A temporary building that would nonetheless last for nearly 20 years. Rebuilding work began in 1953. On 21 June 1964, the church was finally consecrated. In September 1968, Schwenkedel installed a new organ. It replaced the one built by Stiehr-Mockers (famous organ makers from Seltz), which had been destroyed in 1940. Numerous improvements and levelling work have been undertaken since the 1960s. The façade was renovated, as were the choir and high altar. Recently, the heating was replaced and a floral arrangement was planted around the building. It can be said, without fear of contradiction, that Seltz's parish church is a lovely building in prime condition. On 9 March 2006, the DRAC (Regional Directorate for Arts and Culture) added the entire building to the list of historic monuments. The chapel, rebuilt in 1757 on the site of an earlier one, was destroyed in 1940. It could be found to the west of the village. The chapel housed a number of monumental paintings, the majority by Oster of Strasbourg, dating from around 1830. 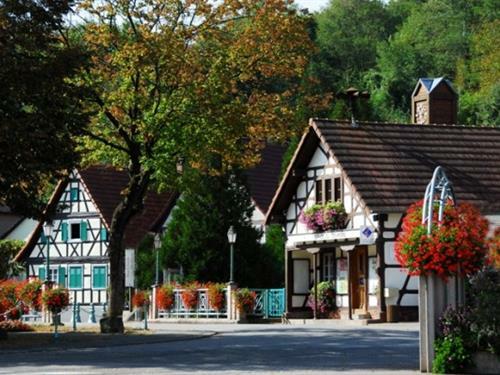 They had been restored in around 1920 by the painters Fenger from Niederlauterbach and Eisenmann from Lauterbourg. It also housed numerous ex-votos but, apparently, none have survived. 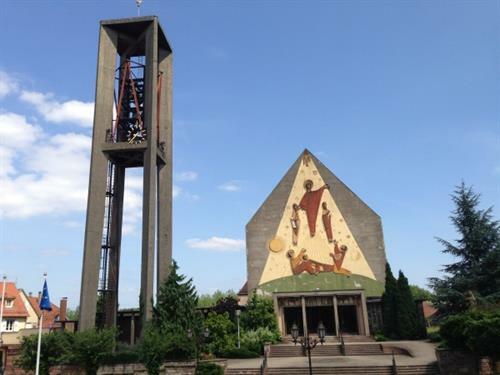 The chapel has eleven stained glass windows in slab glass, works produced in 1962 by Tristan Ruhlmann. The nave contains six, illustrated with themes on the Virgin Mary, and the choir contains another four in geometrical designs, and the gable oculus. 1716 and the stained-glass windows, the baptismal fonts, the pulpit and the Stieffel organ from 1777 listed and restored in 1998. From the terrace (a former cemetery), you can look out over the artful layout of the streets. On the lintel above the porch, the Latin inscription means, "I am here by the grace of God, favoured by peace, and with the help of the Town". 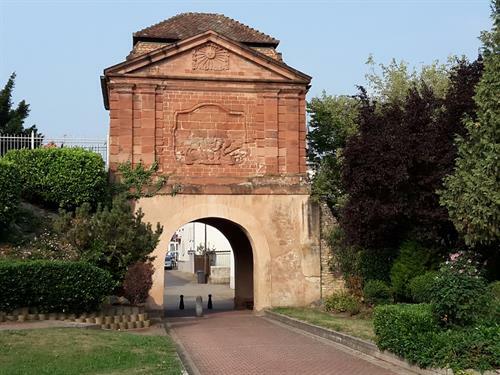 The Porte de Landau (1708), a witness to the Vauban epoch, is built on medieval fortifications. A sun sculpted on one side of the gate recalls the oath of allegiance to the King of France in 1680. Upstairs in an exhibition room is a model of the town's fortifications, based on plans from 1782, and documents tracing the town's history. 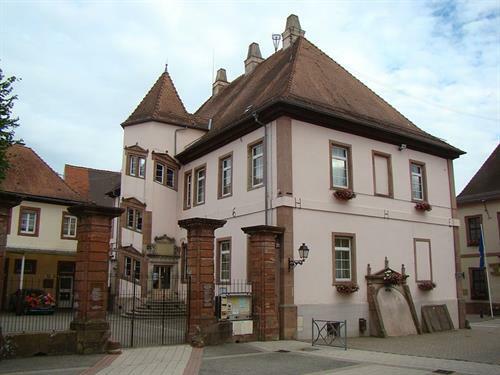 The former residence of the town's night watchman, of which only the front section has been conserved and restored to its original condition, the house was built in the style typical of Alsace. 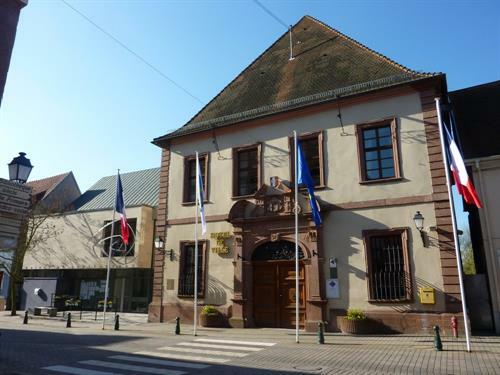 The reception area of the Pays de Seltz – Lauterbourg Tourist Information Office is based here. The rear section, rebuilt in a contemporary style, houses a permanent exhibition: “Once upon a time on the Rhine”. It is situated at the point where the Sauer joins the Rhine. 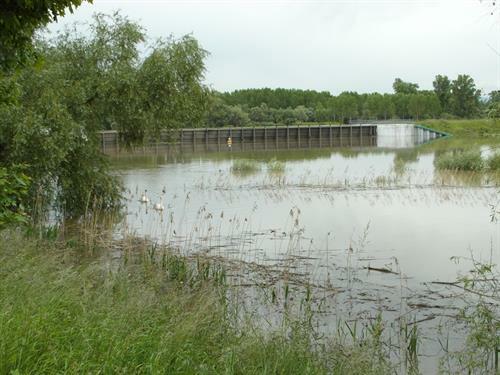 It is a one-off construction in Europe as it is a flap gate that rests on the water outside flood periods. 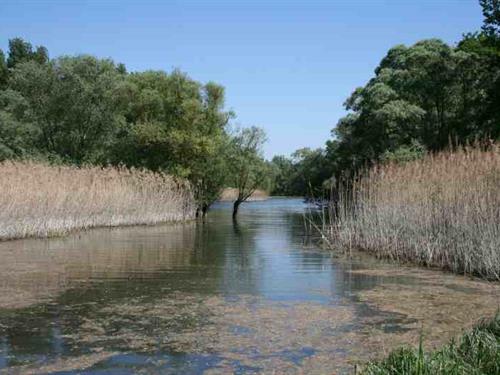 When raised vertically, it acts as a dyke during high water periods. The construction is 60 m long and 7 m high and it can be moved using hydraulic jacks, each with a thrust of 350 tonnes. Remarkable architecture with its great doorway with a shattered pediment. Headquarters of the Tourist Information Office. The magnificent Renaissance doorway from 1731 bears the arms of the town. Inside, on the stair landing, is the Roman Altar discovered in 1891 near the church. This Altar, dedicated to Jupiter, doubtless comes from a sacred location and bears witness to the Roman occupation of the site. The clock mechanism, made by Schwilgué (1776-1856), the famous renovator of the clock in Strasbourg cathedral, told the time on the church bell tower until 1991. This former powder magazine from 1708, capable of holding "95,000 pouches of powder", was purchased by the Protestant community in 1887. Converted into a place of worship, it was consecrated in 1888 and restored in 1952.